Gene Tenace (rhymes with “tennis”) played baseball for four Major League Baseball teams from 1969-1983, and Pete Rose (not the famous baseball player nicknamed “Charlie Hustle”) played tennis at New Trier High School in the late 1990s, winning a state doubles title with Russell Bennett in 1997. I also love athletes’ names, especially if the surname of one has a connection to the athlete’s sport. I also get a kick out of an athlete’s last name if it has a link to another sport. Or to a teammate’s last name. 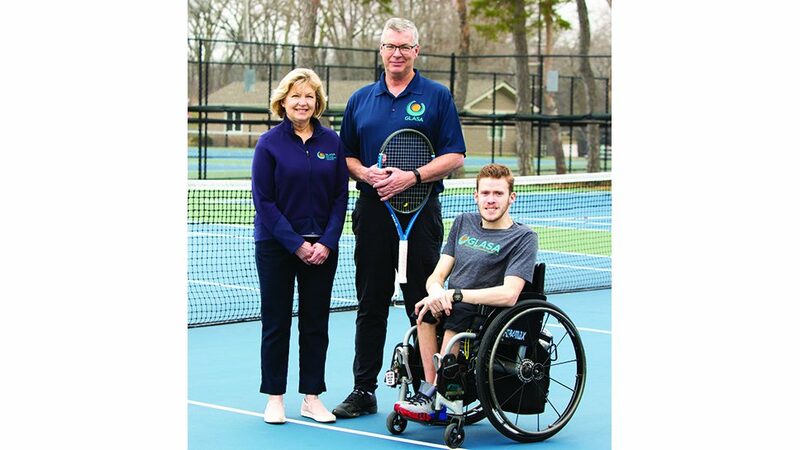 Classic example: A boy named Bob Buerger and a boy named Tom Frei played tennis at New Trier in the 1980s. Buerger and Frei won the state doubles championship in 1982. Former Deerfield High School gymnast Laurie Gold captured gold medals (in the all-around, on the balance beam) at the state gymnastics meet in 1988. Former Washington State University quarterback Samoa Somoa wore the redundant number 11 on the front and back of his Cougars football jersey in the 1979 and 1980 seasons. The Samoan played in 11 games in each season and threw 11 interceptions in 1980. Isabella Watters is a Lake Forest High School water polo player. Deerfield HS graduate Hillary Lane sped to runner-up honors in the 50-yard freestyle at the 2000 girls swimming and diving state meet. 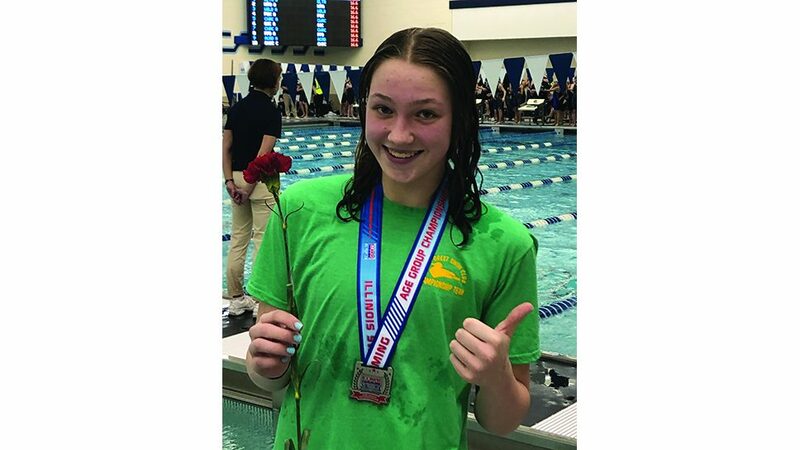 Reel news: One year and three days before the boxing movie Creed II hit theaters on November 21, 2018, a diver at New Trier plunged to her second straight girls diving state championship. The diver’s name: Jessie Creed. Successful sequels unspool in natatoriums, too. Just wondering: If a golfer says, “I’m feeling under par today,” that must mean the golfer actually feels fantastic, right? Just ranting: Ever listen to sports talk radio? Ever want to scream when a host utters “obviously” during a show? If whatever was said before or after that word is obvious, why was it even said? People who howl, “I could care less,” unwittingly omit a crucial word in the rebuke. “I could NOT care less”—what the howler should spew— means something entirely different than what “I could care less” means. Somebody please explain to me why football broadcasters always refer to a quarterback as the position “under center”? When have you ever seen a QB look up to receive a snap from a center? A quarterback sets up BEHIND center. See at UC: Reigning Amateur Hockey Association-Illinois (AHAI) girls state champion New Trier faces Fenwick in the state high school cham- pionship game at United Center March 22 at 4 p.m. Loyola Academy Gold, another reigning AHAI state champion, battles New Trier Green in the boys’ state final (7:30 p.m.), also staged where the Chicago Blackhawks play their home games. O’YES: LA senior forward Eamon O’Brien was named the 2019 JJ O’Connor Boys High School Hockey Player of the Year. MUST SEE: And hear. There’s nothing quite like the video montage of past AHAI high school boys state champions that appears on UC’s big scoreboard before the title-game puck drop each year. The music will give you chills.